Gregory Blair's new short comedy releases a brief sneak preview. 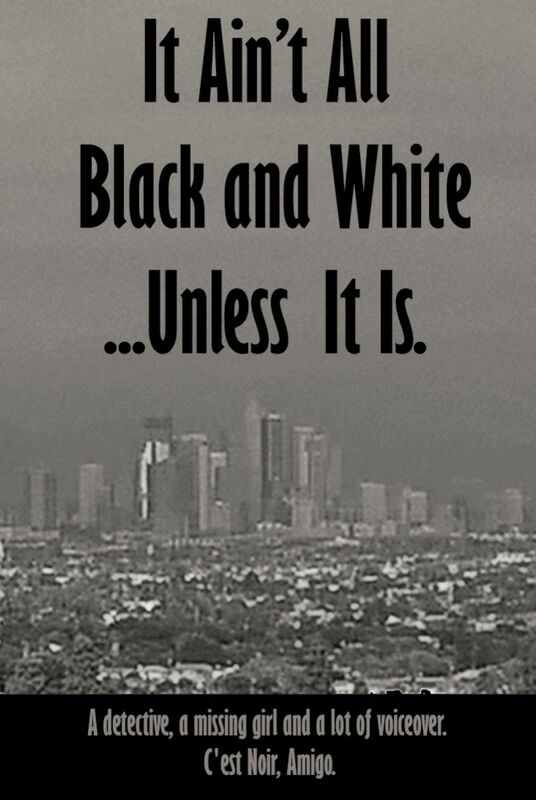 HOLLYWOOD, Calif. - Aug. 11, 2016 - PRLog -- Award-winning filmmaker Gregory Blair's latest offering IT AIN'T ALL BLACK AND WHITE…UNLESS IT IS emerges from the gate with a first look teaser trailer. The film is a comical look at the trappings of film noir and film in general, with its tongue in its cheek and its heart on its sleeve. Meant to be a companion piece for Blair's horror/comedy feature GARDEN PARTY MASSACRE, Blair's gem-sized short IT AIN'T ALL BLACK AND WHITE…UNLESS IT IS embraces the tropes of the original genre, including a femme fatale, a detective and lots of moody, brooding voiceover. Blair enlisted GARDEN PARTY MASSACRE camera and sound talent (Nate Cornett and Robben Fenderson, respectively) to capture DEADLY REVISIONS actor Mikhail Blokh in the lead role. Valerie Baggs Ross makes her photo film debut as the obligatory missing girl and Blair, himself, pops in for a Hitchcock cameo. Blair's many filmmaking honors include the L.A. Movie Award for "Best Narrative Feature", the Claw Award for "Best Feature Film Screenplay" and the EOTM Award for "Best Director of an Indie Horror Film"—all of which bode well for IT AIN'T ALL BLACK AND WHITE…UNLESS IT IS.